As Secretary of State John Kerry tried to sell the Iran nuclear deal to Congress Tuesday, some U.S. senators were ready to start an oil war with Iran. Republican Senator Lisa Murkowski is sponsoring a bill to lift the ban on exporting American crude oil. Send U.S. oil abroad, she argues, so America can "compete against our foes in a way that doesn't involve sending our troops in and boots on the ground." 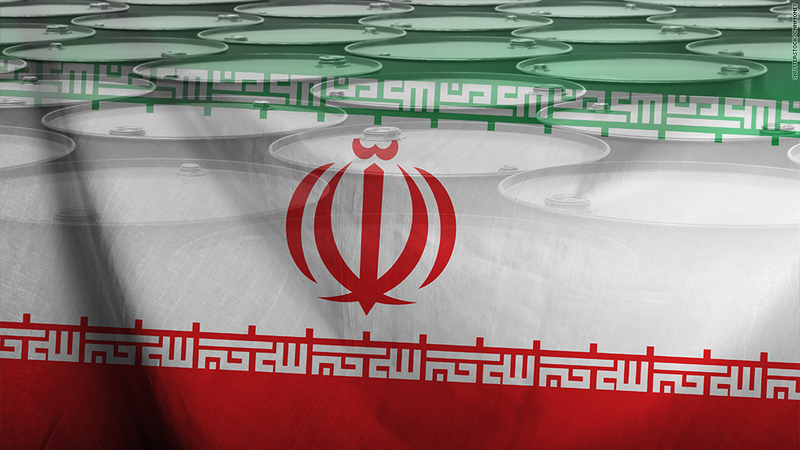 In other words, let the U.S. and Iran go head to head on the world oil market. It's a timely debate. At a Senate Banking Committee hearing Tuesday, she asked why the U.S. would lift sanctions on Iran so it can export its oil, yet keep a ban in place on American oil exports. "We're going to let Iran go out onto the global market and engage in sales of their oil, allowing them to amass resources and wealth as a benefit of this," Senator Murkowski of Alaska said. How we got here: The ban on U.S. oil exports has been in place since the 1970s. It was created to keep gas prices low at home and for national security reasons. The thinking was to keep U.S. oil at home in case anything happened to prevent America from importing enough oil, especially during war time. We should "make sure we hold the key to our energy security, rather than exporting it to the world," New Jersey Senator Bob Menendez, a Democrat, said Tuesday. But Murkowski called U.S. oil exports a "diplomatic tool" to pressure Iran. Currently, the U.S. only outright bans exports of crude oil, horse meat for slaughter and Western red cedar. Iran has the fourth largest oil and gas reserves in the world, according to U.S. government estimates. One of Iran's priorities in the nuclear deal is to have sanctions lifted so the country can export its oil freely again. Energy experts believe oil prices -- which are near their lowest levels since the Great Recession -- will fall even further if Iran can export oil again. Little chance of change: It's debatable what would happen to gas prices for American drivers and consumers if Murkowski's bill passes. Global oil prices would likely fall, but U.S. prices could rise slightly. U.S. oil producers want to export oil overseas to take advantage of higher prices abroad. The world price (known as Brent Crude) is often a few dollars higher than the domestic U.S. crude oil price, known as West Texas Intermediate. The bill has 14 co-sponsors in the Senate, mostly from big oil and gas drilling states like North Dakota and Oklahoma, but it would be a heavy lift to get it through Congress. "I don't think it has a chance in 2015 or 2016," says Tom Kloza, chief oil analyst at GasBuddy. As important as Iran is, domestic concerns matter more for most politicians. As Republicans and Democrats position themselves for the 2016 election, they will both be courting voters in key swing states like Ohio and Pennsylvania. Those states have seen a resurgence of manufacturing and oil refineries -- the very jobs that could be in jeopardy if the U.S. started exporting crude oil abroad to be refined elsewhere. "Those are states that are going to be very pro U.S. refineries and anti lifting of the export ban," says Kloza.